Are you one of the girls talking about serum, owning several serums, yet having no idea about what a serum is? Some says it’s like oil, vitamin, essence, what else? Why there’s so many description for serum while it didn’t explain what serum is at all. Let me help you then. Serum consists of a very small molecule with high concentration of active ingredients that can penetrate directly deep into inner layer of your skin, not just the surface. It is applied after washing the face and before applying moisturizer in order for the serum works first. Isn’t it great? It’s like shooting a bullet right inside the face to kill those wrinkles, freckles and acne. Let's breakdown the function of each serum in this all-use series package. Perfect for reducing the appearance of panda-eye bags and fine-lines. This is definitely must-buy serum for workers who spent most of their time working instead of sleeping. Don't let your job steal your eye beauty, let Swissvita preserve your beauty. This anti-spot serum helps reducing the appearance of dark-spots, freckles and hyper-pigmentation. Best use prior application of sun-block to give you extra protection from exposure of Mr. Sun. 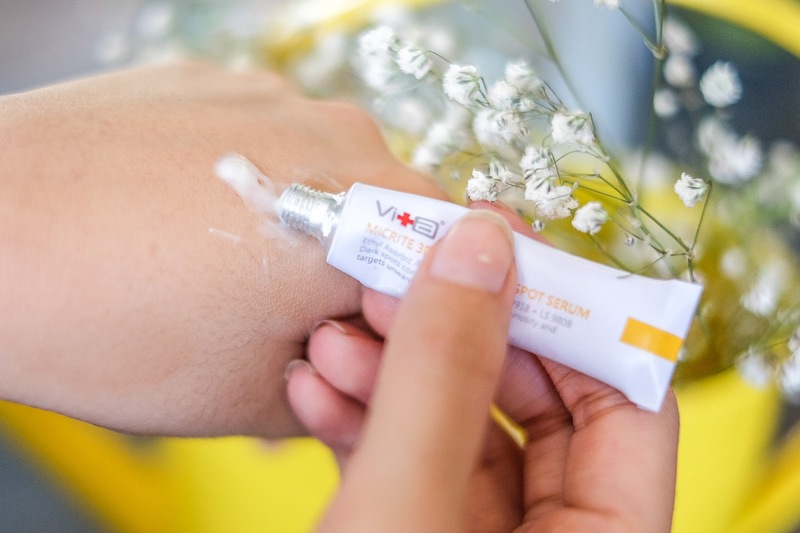 For you who have a lot of activities under the exposure of sun, this serum will really help to fight against spots. Containing highly whitening serum concentrate with intense hydration, help to bring our flawless, glowing, radiant face naturally from within. Who doesn't want whiter skin complexion? 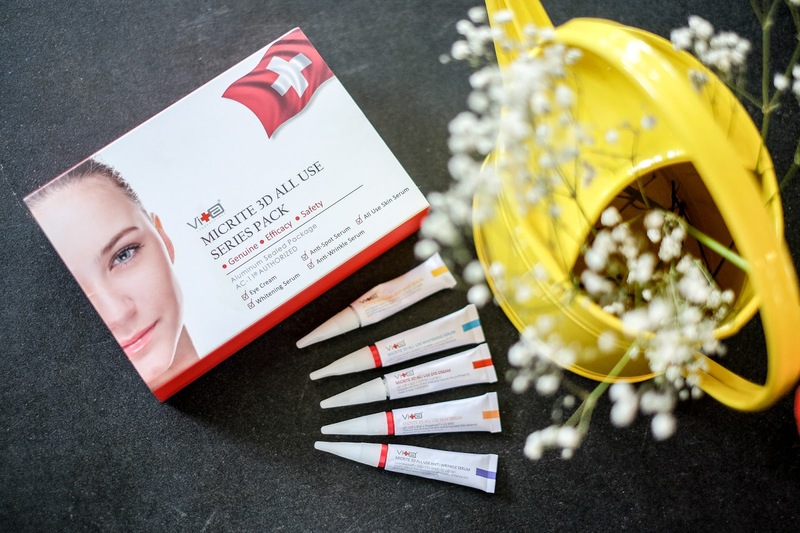 Everybody wants it and it is why this Swissvita product is a favorite. Bye-bye wrinkles serum, effective to diminish the appearance of wrinkles, reduce the dullness of skin and bring back the radiance by providing intense moisture. It also helps for reducing acne scars! Reaching 30 must be terrifying. We began to worry that one day the crack of wrinkle will come and make us look old. If you have this anxiety, you have to give a try to this product. The has-it-all-serum. Anti-aging serum to kick away sagging, dull and ugly skin which keep our face moisturized and hydrated and at the same time improving skin’s firmness and elasticity. For you who confused which one the best, considering your face is still in normal stage, just use this serum as it is best to keep our face naturally beautiful everyday. I’ve tried all-5 above and I’m completely satisfied. The gel-like texture melts quickly and completely absorbed without leaving any residues. It also feels very light and super watery. My skin feels smooth and looks brighter over repeated use. Great product to ease your skincare routine while maintaining our youthful and firm skin!